Rising numbers of students and increasing demand for better accommodation in Liverpool have led to a .boom in purpose-built developments in the city centre that shows no sign of slowing. There are now 50,000 students studying in Liverpool, drawn to its top-performing universities, friendliness, music culture and nightlife. The campuses of the three main universities are located in the buzzing city centre. So it’s small wonder that students prefer city centre-living to travelling in from outlying areas such as Allerton, which is where many halls of residence and individual landlord-owned properties used to be. 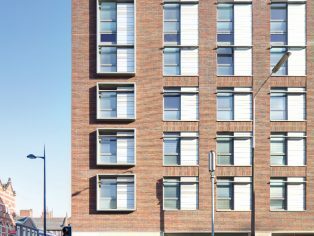 Students’ desire to live in the heart of Liverpool has fuelled the building of purpose-built student accommodation (PBSA), but although development has brought social and economic benefits to the city, it is not without controversy. Some residents don’t like the idea of students as neighbours, others fear that the boom may not be sustainable long-term or worry that the look of the city is changing. 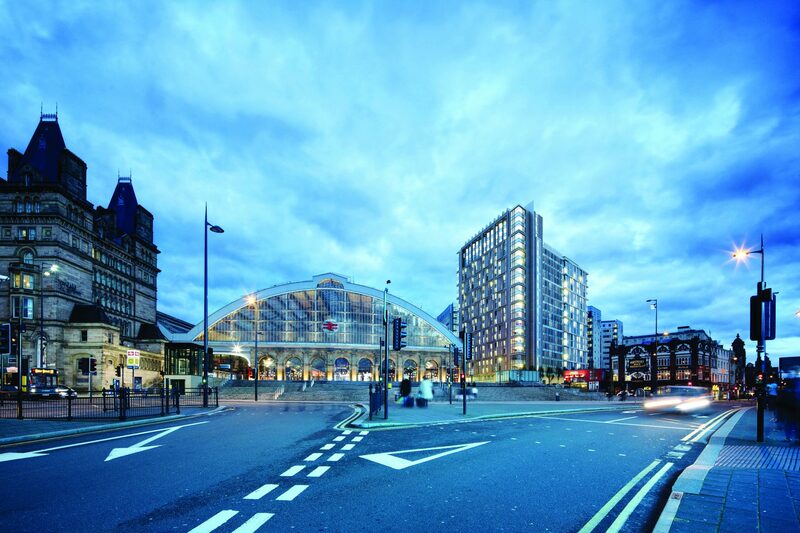 Falconer Chester Hall (FCH) was faced with such hurdles when it designed a new upmarket student accommodation scheme on Hope Street – a sensitive location because it’s one of Liverpool’s most iconic and best-loved streets. The 339-bedroom, mixed-use complex opened in September 2015. 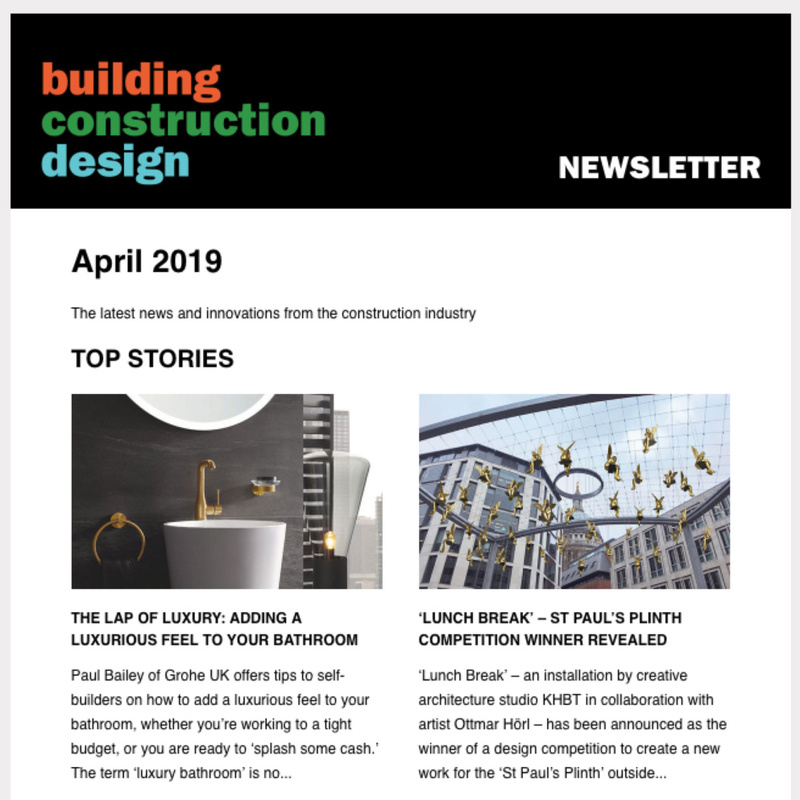 It was built by Nordic Construction UK, which bought the site from Maghull Developments, and includes three buildings overlooking a four-sided courtyard. 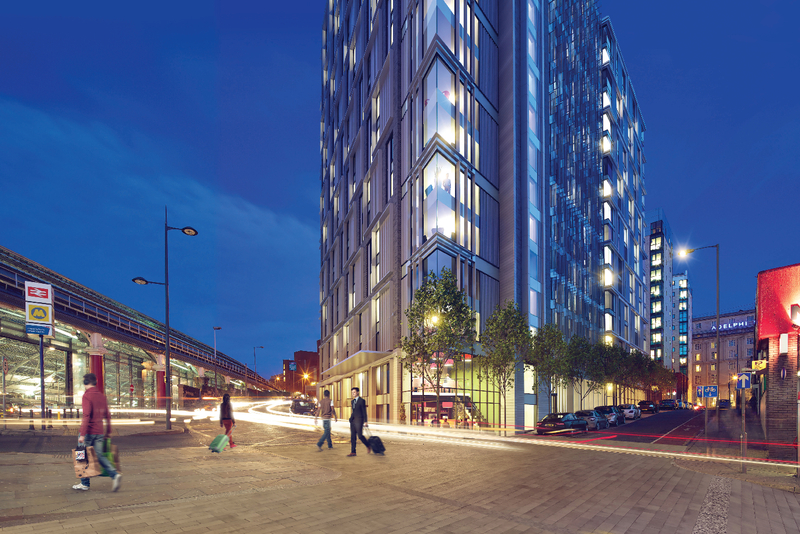 The scheme includes accessible studios and single bedroom flats, complete with fitted kitchens and en-suite bathrooms. 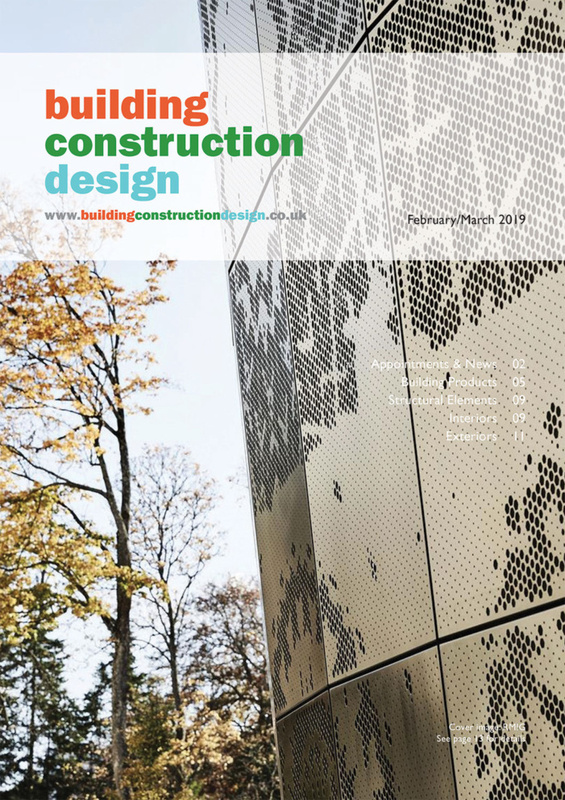 Nordic Construction completed the project speedily using volumetric construction – innovative fully fitted timber-framed modules assembled in Latvia and craned onto the site. Following more than a year in planning, and amendments to the original designs, Liverpool City Council approved the development. Construction on the 10,000m2 former brownfield site began, with work on the foundations in January 2014. “It was a challenging planning consent that took a lot of effort because the development is on a historic street, but it’s also close to the university and adds to the variety of student accommodation in the city,” said Adam Hall, managing director, FCH. Hope Street is one of Liverpool’s official ‘Great Streets’ and lies in its Cannon Georgian quarter, a conservation area. It is sandwiched between two famous cathedrals – the Metropolitan Cathedral at one end of the street and the Anglican Liverpool Cathedral at the other. The street also includes 13 Grade II listed buildings, including numerous early 19th century houses, and a Grade I building. To satisfy local residents and placate their concerns over the scheme, Adam had several conversations with them, as well as with key organisations that operate in and around the area. 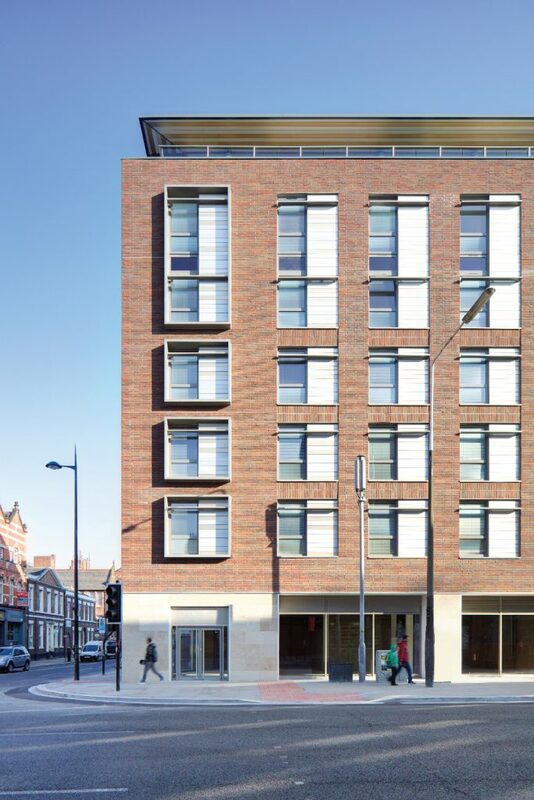 Reacting to feedback from those meetings, Adam reduced part of the height of the building at the front to stop it from being too overpowering and chose a purple-red brick that’s faithful to the style of bricks used in the area to make the building more fit for its location. “Designing accommodation in this area was challenging because it has many different architectural styles; including the 1930s Philharmonic Hall, a Georgian terrace, two cathedrals, and a Victorian pub. It wasn’t a case of designing a building that replicated one style, height or brick, as there was so much variation already. But I had to be mindful of the area’s richness of architectural styles and pick up on some themes. Adam’s respectful approach to local context can be seen in the design, which maintains similar proportions to the dense horizontal massing of many of the Georgian terraces’ nearby. The development also complements the area by emulating the strong brickwork geometry on the corner junction with Myrtle Street and its similarities to the vertical facade grid of the adjacent Philharmonic Hall. The design continues the repeating rhythm and proportion of window openings in masonry in Hardman Street and Hope Street. As well as these complementary elements, the design also contained features that make the development stand out. These include a public courtyard with space for the reintroduction of the Hugh Stowell Brown statue. He was a local Victorian dignitary whose statue had been removed some years previously to protect it from vandalism. In addition, the courtyard design includes a stage available for local groups, community organisations and the students to use. On the ground, there are also retail leisure spaces that FCH and Nordic Construction hope will be taken by restaurants whose back doors will spill out onto the courtyard. Many of the PBSAs in Liverpool include courtyards and for good architectural reasons, says Adam. “Unless you look into something light and attractive it stymies the central area of the scheme for using it in an efficient way,” he said. One statement feature Adam included in the design is a curved wall at the front entrance section in metal cladding and containing a light installation. The articulated aluminium clad panel has ripples on its surface that at night will be illuminated, bringing people into the space. “I envisaged a sort of sculptured end to the building rather than it being windows and brick,” said Adam. Of course, for the students it’s the inside of the Hope Street development that will be of most concern. Although FCH wasn’t involved in the interior, which was completed by another architect, its design includes a generous entrance and facilities space for meeting, as well as luxuries such as a launderette and a gym that previous generations of graduates could only dream about. The Hope Street scheme was built out just as the results of a review by Liverpool City Council into the number of buildings after PBSA and where they should be located, began to emerge. “It’s now been decided where locations will be encouraged and that the emphasis will be on quality,” said Adam. Skelhorne Street is a mixed-use development for Butler Company and includes two buildings to be built on a former open-air surface car park. It will include student accommodation, an apart/hotel plus commercial and retail space for the public and residents on the ground floor. Like Hope Street, respect for local architectural character meant adopting a sympathetic facade strategy. Adam has included design elements that link to the railway heritage of the site, including strong vertical lines down the facade to the stone plinth that will flow into the pavement in geometric lines like rails. The ground floor’s heavily modelled metal facade in raw exposed steel will reflect the steel and ironwork of the station and its colonnades. 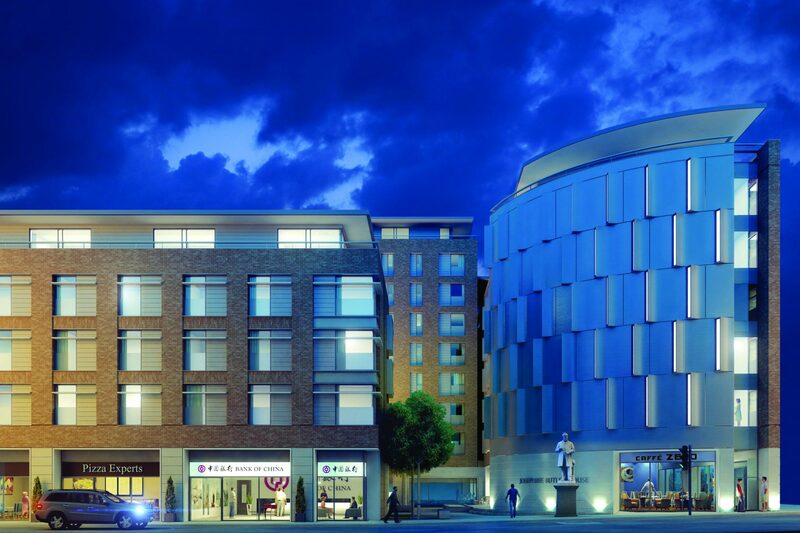 Both Hope Street and Skelhorne Street raise the bar for student accommodation. The challenge for architects is to continue pushing the boundaries as developers try to outdo each other in leaving a positive legacy for the city.